Master Occultist and Satanist Carl Nagel has surpassed himself with this, his latest - and most anticipated - work of Black Magick to date. Finally, the Supreme Rituals of Lucifer are revealed! of Magickal Workings; the Black Rites of Lucifer can be performed by the absolute beginner, with no special equipment, in the privacy of your own home. It's no great secret that the rites of Dark Magick are frequently both far more powerful AND effective that other forms of Magickal working, and this book will show you exactly why that is - and ALLOW YOU TO PROVE IT FOR YOURSELF! But this amazing book doesn't end there! Never before revealed, these Black, Luciferian Verses contain the power to unlock everything you could ever wish for...and much, much more! 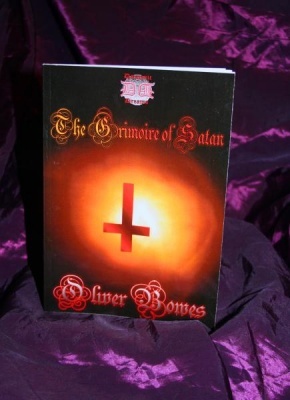 Make no mistake, The Black Rites of Lucifer is destined to become a very highly sought-after Black Grimoire, and one that you will use and cherish for decades to come.